That strike landed too close! Your heart pounds with the adrenaline, but you maintain a calm demeanor. Fortunately, your scaled armour deflected the assault. You prepare a counterattack, glad you chose the Hektor Scale Armour. 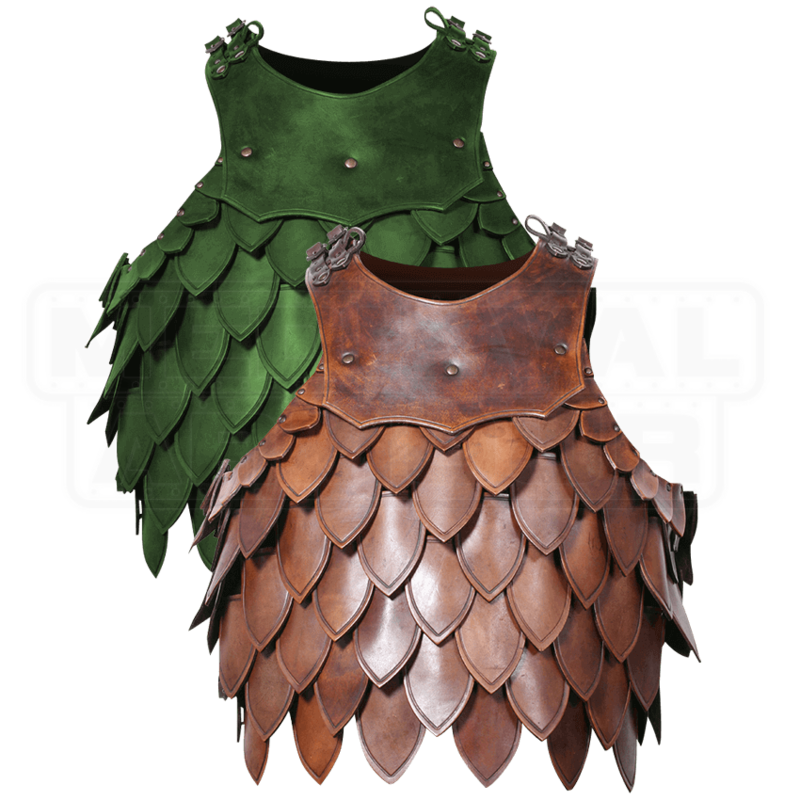 This traditional medieval armour is not only eye-catching but increases your defense for reenactment battles. Excellent quality leather scales are riveted to a suede leather vest. Adjust to your comfort and fit with two buckles on each side. 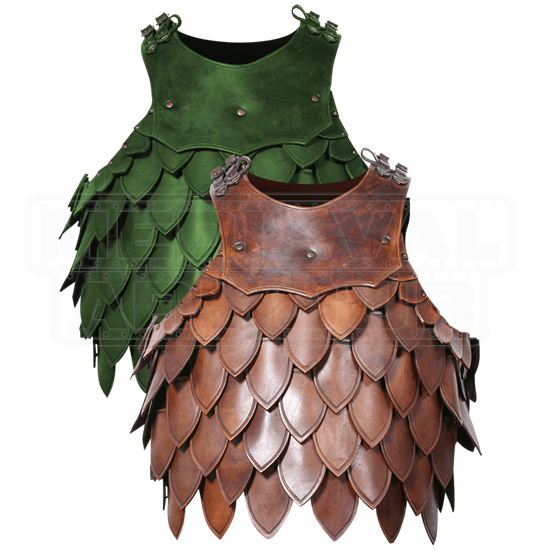 Ready yourself for the attack with this trusted scaled cuirass.